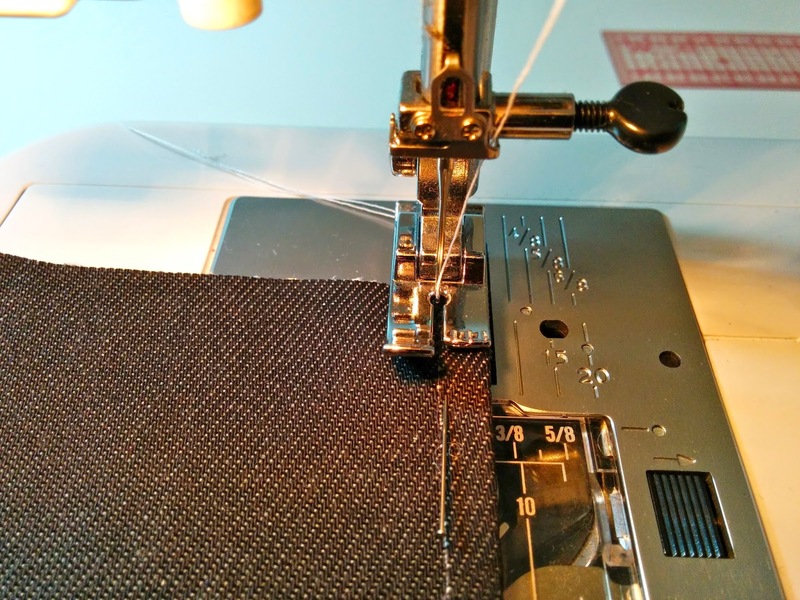 As promised, let me show you how to sew a flat fell stitch. 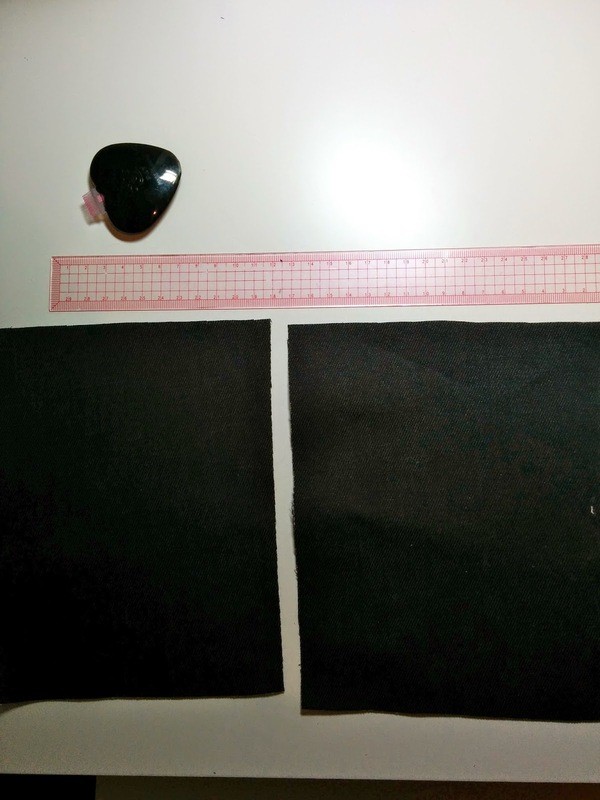 Here I used it for sewing my jeans, but you can also use this stitch to sew shirts, blouses or children's clothes. The flat fell stitch is very strong and durable, hence it's suitability for kids' wear. 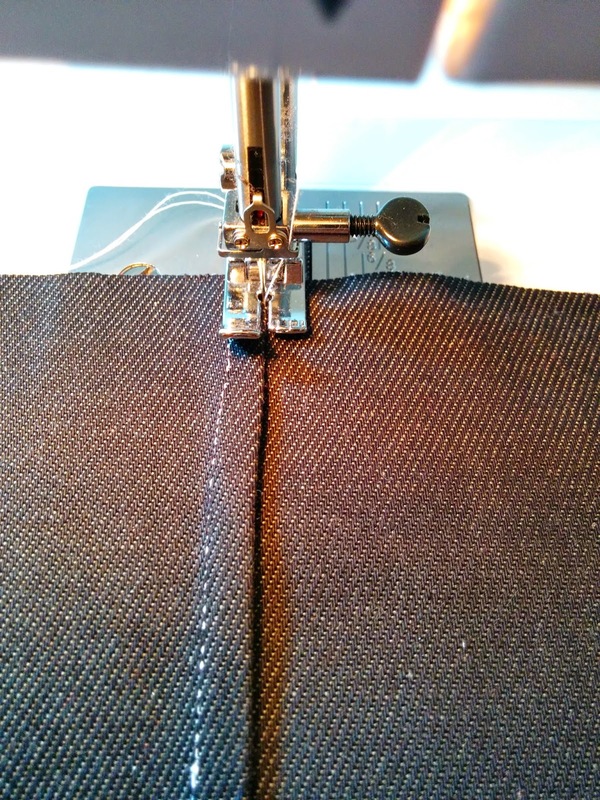 You can sew the fell flat stitch two ways: with one or two stitches showing on the right side of the garment. Step 1: To properly and precisely execute your stitches, you'll need a marking tool and a ruler. Step 2: Put the fabric wrong sides together. With a marking tool, trace a 0.5cm line from the raw edge on one pattern piece. Lay another pattern piece on top, matching its raw edge with the marking line. Step 3: Fold the fabric along the marked line using a hot iron so that is wraps the other piece of fabric. 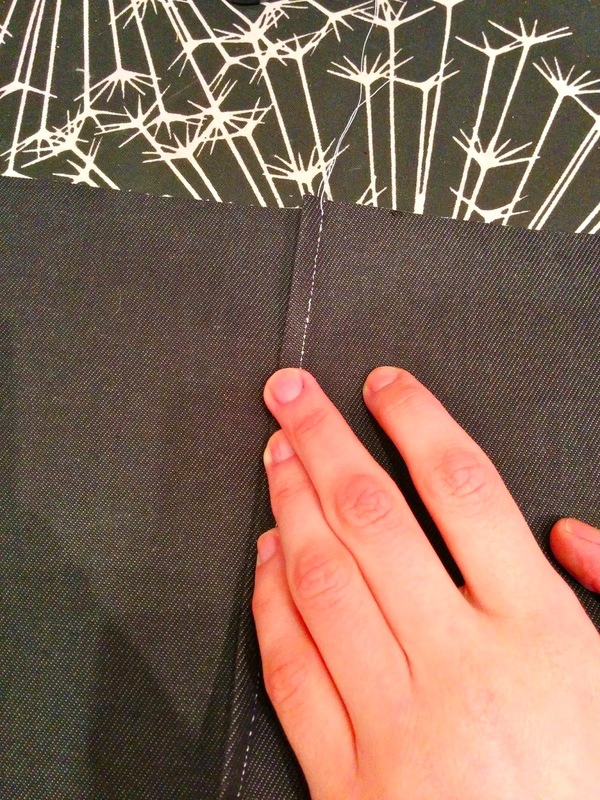 Step 4: To keep the fabric in place, you can either pin it or hand baste it in the middle of the fold. In this example, I used pins as stitches. Step 5: Align the raw edge of the folded piece of fabric with the needle and stitch along it, maybe 0.1cm from the raw edge. In order to keep my stitches straight and not go beyond 0.1cm, I use a special foot for my sewing machine: the straight stitch foot. This foot features marking lines for seam allowances of different widths. With a foot like this, there is no need to fear any kind of fine stitching! Once you have finished the first row of stitches, here's what you get! 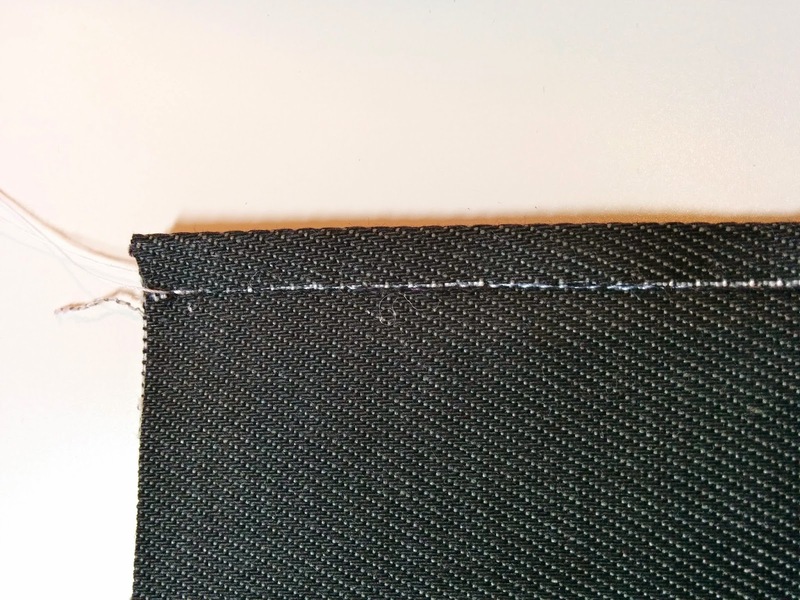 Step 6: Now, with the first stitch facing you, turn it so that you create another fold encasing the raw edge. Press it from both right and wrong sides. To secure the fabric you can again either pin or thread baste it. 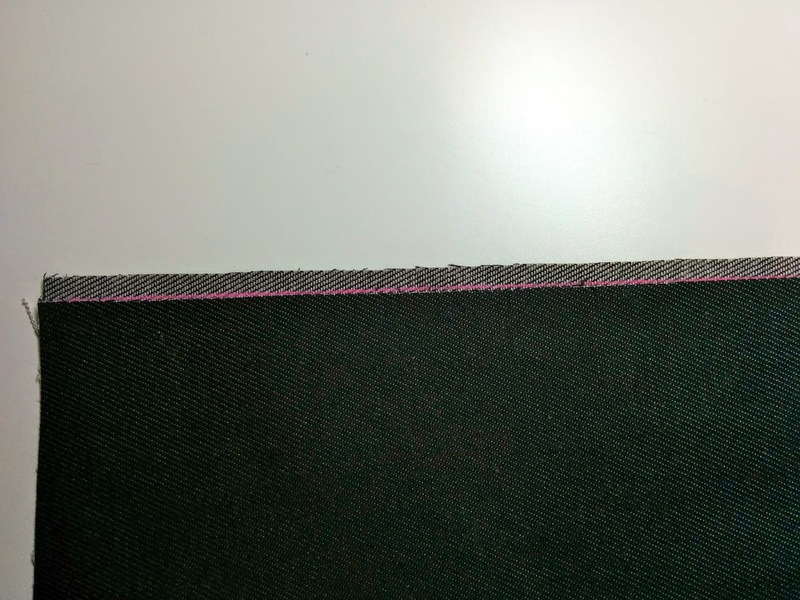 Step 7: Once you have pressed and secured the seam, align its edge with the needle on your sewing machine and stitch 0.1cm from the edge. The flat felled seam right side up. 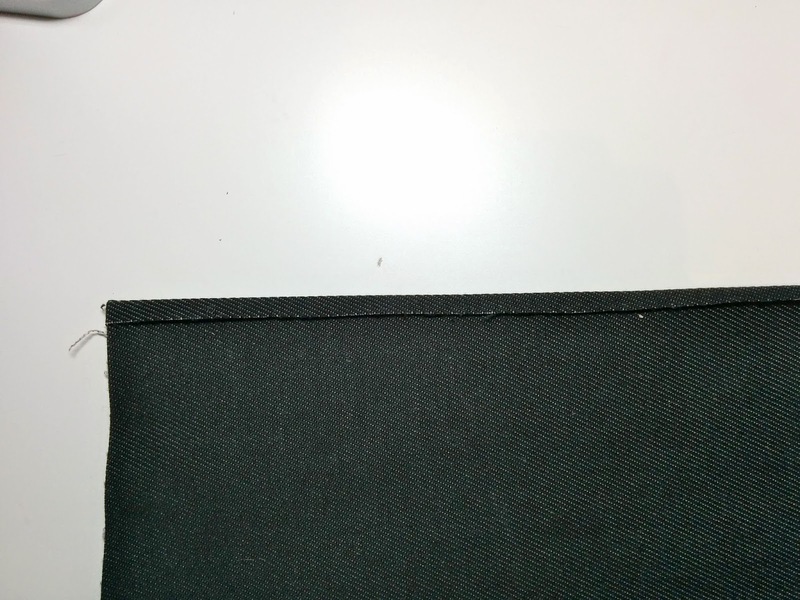 The flat felled seam wrong side up. 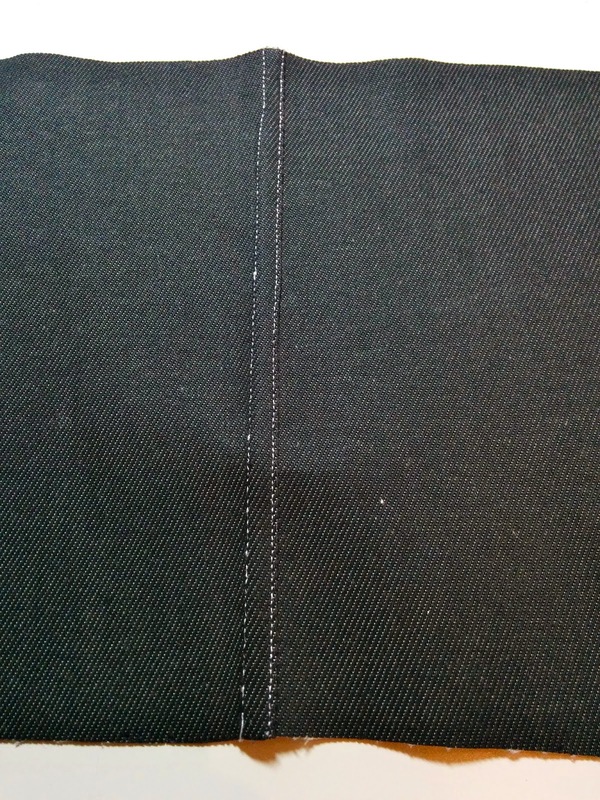 In case you want only one seam to show on the right side of the garment, when you start stitching, face the fabric right sides together instead of wrong sides. Then repeat all the steps the same. Inna, this is a revelation, thank you soooo much :) I'm not sure where I picked it up or whether I just kind of fudged it but I've always just sewn the seams, trimmed one then turned the wider one under. Seriously can't wait to try this method, it looks so much neater! Legend! Argggg Nasty disqus (︶︹︺) I am glad you find it useful! Don't wait to make next pair of jeans! I use this stitch even for things like canvas bags. Hey Inna... just wanted to check- was this is using 1.5cm S/A? 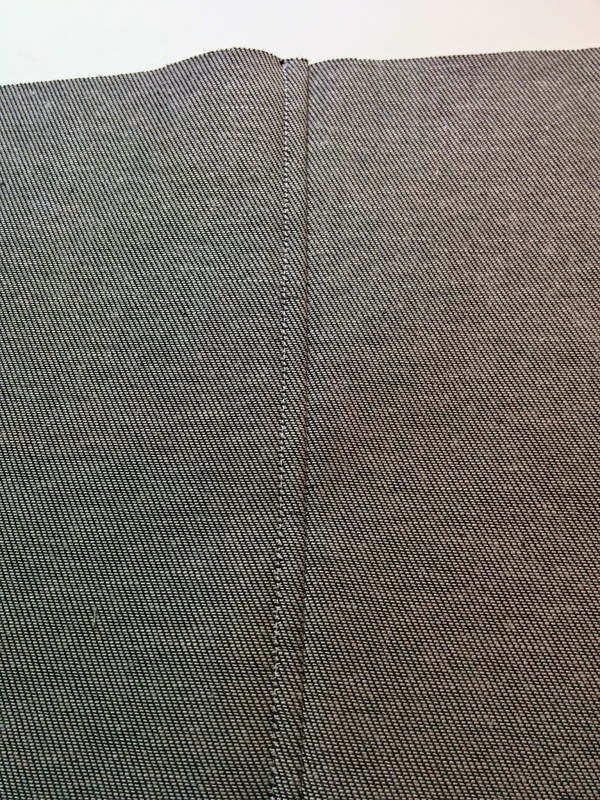 For this pair of jeans I used 0.6 for each fold.